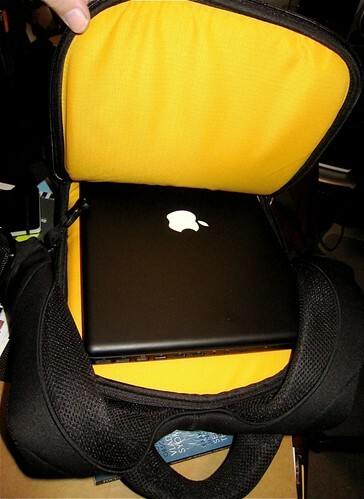 My favorite backpack (now) is one geared towards the camera/laptop user — the Kata line is reportedly used by the Israeli military and offers great construction, bright yellow interior to make it easy to find items inside, some reconfigurable areas, and a durable neoprene exterior. 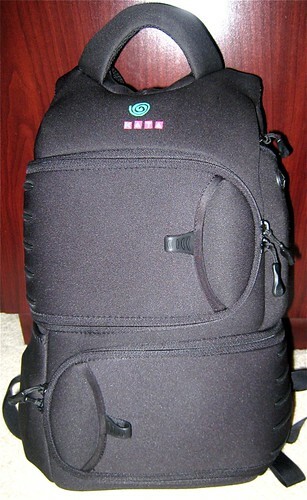 This post serves as a visual reminder of how I packed my Kata Sensitivity V Backpack for air travel on a short domestic trip. I love the backpack and the amount of items it will hold. 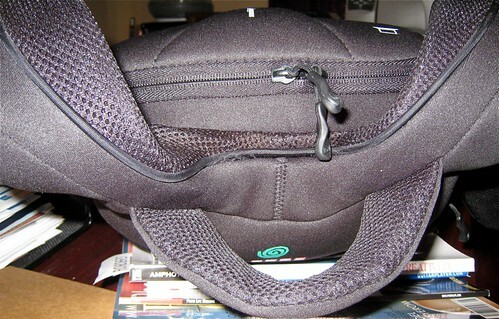 The neoprene material is very durable and looks very sleek. Apple Macbook, Canon XSi D-SLR camera, Canon SD800 IS camera, 70-200mm lens, 24-105mm lens, 50mm lens, (2) Canon 580EX II flash units, earbuds with case, laptop power supply, extra battery, card reader, (2) reserve recharge batteries, memory card bank holding multiple SD memory cards, misc. accessories, USB cables. I recently tried the larger Kata R-103 Digital Rucksack , and determined that I couldn’t fit any additional gear inside (perhaps less). The R-103 is a good bag, and provides additional padding and tripod carrying capability on the back, so it could be a decent choice if that’s what you’re looking for. 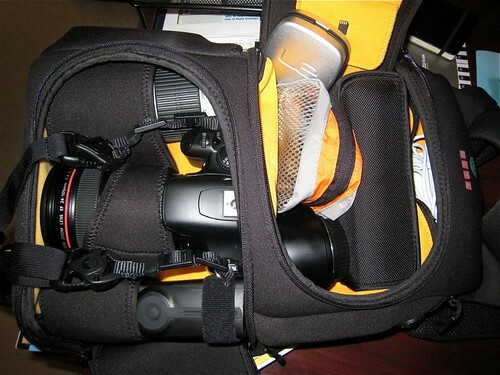 A video from photog Ron Brinkmann shows how he packed his Kata Sensitivity V for a trip. First is a photo of the bag from above – click on the photo to go to Flickr to see the notes that describe each item in the backpack. The backpack isn’t overstuffed with these items, but comfortably full.